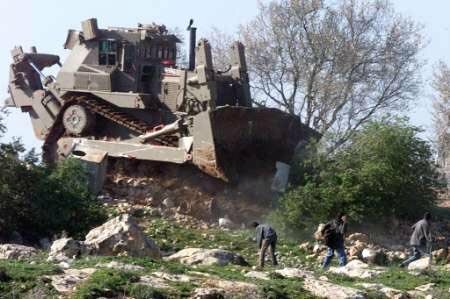 Amy Goodman reports that the court case against the State of Israel for Rachel Corrie’s death begins in New York this week, seven years after she was crushed by the IDF driver of the Caterpillar D9 (see above) assigned to destroy Palestinian homes in Rafah. Here is a link to a Flash presentation I made in January, 2004 in remembrance of this principled young woman. Has anything changed over there since Rachel Corrie was murdered?